Why do I need to have good time management? Well, time management is needed, because time is finite! You will never be able to make more, or do it over. By managing the amount of time doing things you have to do, you can spend more time doing what you want to do. Most busy moms are always looking for more play time with the kids or ways to gain more family time. We learn to manage what we must do to give us more time for what we want to do. Note: We aren’t managing time. We are managing OURSELVES within time. Don’t mix those up ;). 1. But, find YOUR why. Maybe why you want more time is different than why I want more time. Maybe you have a hobby or have always wanted to learn a second language. For almost all mom’s our kids bring us part of our why. For most of us, we have careers or jobs as simply a means to get to our “why”. So, whatever you’re spending hours a day working towards is your “why”- it’s the reason you should manage your time so you have more of it! Keep your focus on this and you’ll find yourself having more time quickly. 2. Know that there is no set formula for time management. You might have already some books or articles about time management, telling you the best way to plan or the way to work most productively. The fact is, everyone is different, therefore not every method of time management will work for every person. If you’re someone who likes planners and are able to follow them, use that to your advantage. If you’re not, find something else that works for you. Your method doesn’t need to match the person next to you. Find the way that works best for your family, children, and circumstances and go with it! 3. Understand your schedule and your limits. You have a unique schedule. You have unique needs. If your child needs two hours a night of homework help and that’s a priority in your household, it’s okay to add that time to your schedule even though others might not. Know your limits as well- if you can’t take more than 15 minutes of cleaning at a time, don’t force yourself to clean for 1.5 hr spans of time. Make sure your schedule works for YOU, not someone else. Work within YOUR children’s schedules, limits, and strengths and don’t worry about if it matches exactly what another “expert” might do. Whenever you make a plan for the day, always be sure to keep in mind the things you HAVE to do. For example, things, like paying bills, eating, or walking the dog, are things we might need to do daily and can’t put off. Make sure you do these, of course. After that, add things you would LIKE to do into your list. Maybe things, like reading a book or taking a bubble bath, will be added. After that, make a place for things that you neither have to do nor want to do, the things you do out of obligation. Why are you doing them? If they’re something you can cut out of your day, do it. 5. Once you find something that works, stick to it. 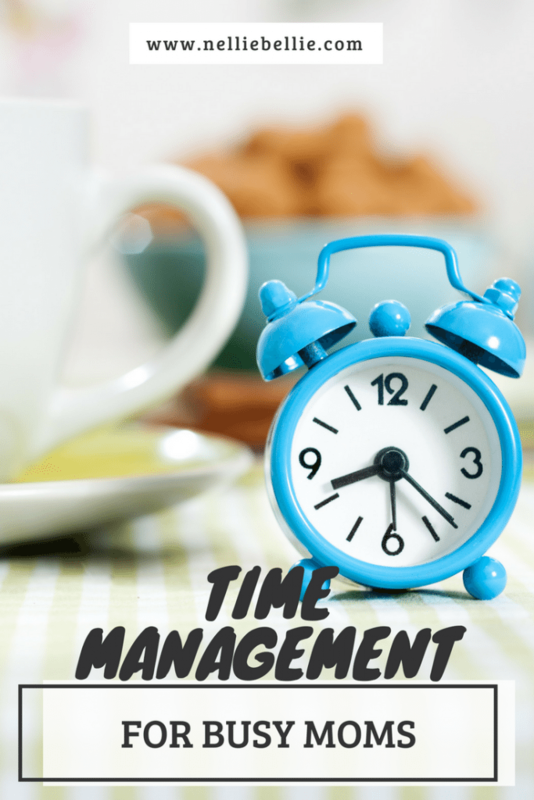 There are bajillions of articles out there about time management. They will give you a bunch of different theories about how to manage your time best. Ignore them once you find what works for you. Don’t change it, there’s no reason to! Own what works and get to the business of life. This is a time management system that breaks your work into intervals of usually 25 minutes, with small breaks in between those intervals. Use this little tool for tasks you dislike but know need to be accomplished. Or, for when you would love to read a book but know that you can’t take too long because there are other things that should be done. Do that task for 25 minutes and stop. Do it again if necessary. Or not. Really, it simply teaches you (and your kids) that anything can be done for a small amount of time. And often, it only takes a small amount of time to finish the task. Block scheduling is simply scheduling time for the activities you need to do each week/month. But, doing them in block times rather than a bit every day. This allows your brain to devote time only to that task (frees up energy and brain space! ), allows you to stay on groove for the entire time (saves time! ), and allows you to take out necessary supplies only once (saves time, energy, and sometimes money!). It sounds weird, but you need to schedule time to be with yourself. This is called “white space”. Along with the block scheduling, schedule “white space” into your calendar. How each family does this will vary. Some families need a few hours each week, a day a month, or a week every few months. It’s about each individual in your family getting a couple days or a different set time to do what they feel is important to them and to “catch up” on what is bothering them. Scheduling “white space” in the calendar is vital to keeping stress at bay, feeling productive, and remembering that life is ours to enjoy. In order to block schedule and create white space it may be necessary to turn down good things. Invitations to great events, sleep-overs to friends homes, or even non-profit fundraisers may be things you need to say “no” to for the sake of your own sanity. There seems to be no shortage of good things to be involved in and give time to. And we want to do it all! We all want our kids to have all the good experiences they can. Yet, if you don’t say no to good things there is no white space available for your kids to learn what THEY love. Or for you to recharge and rest so that you can best contribute to the good things you’re already a part of. A great planner should help you remember what is most important in your day, not your to-do list. The problem with to-do lists is that they often aren’t prioritized properly. People are so intent on getting the list crossed off that they don’t do the items in a proper order. Good planners will help you prioritize your day and keep you on task. Remember that just doing tasks without rhyme or reason isn’t useful. Doing them in the right order, based on priority, is best. If you need a place to look, Day Designer by Whitney English and Planner Pad are great planners because of the funnel systems they use. Hopefully, these principles of time management will help you and your family have more time in your day and prioritize what matters most. Tell us, what productivity tip have you put into practice in your own life with great success?